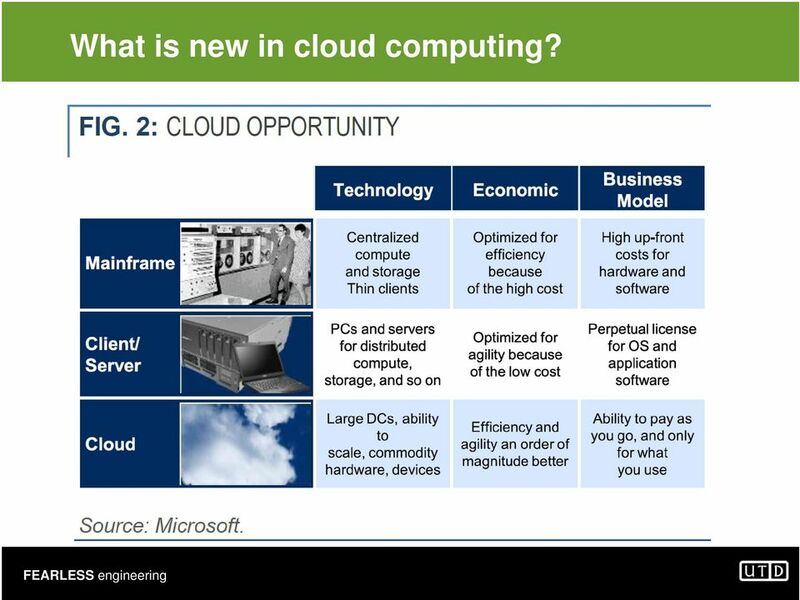 4 What is new in cloud computing? 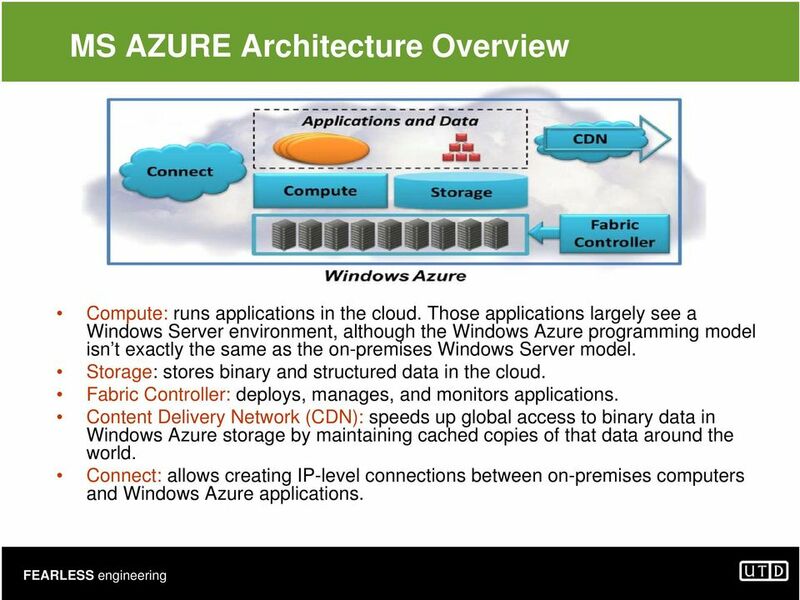 11 MS AZURE Architecture Overview Compute: runs applications in the cloud. 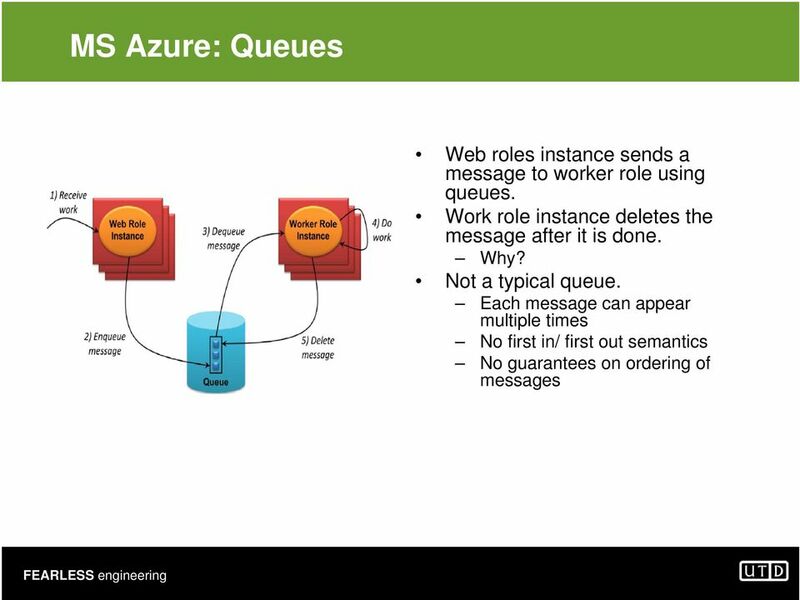 Those applications largely see a Windows Server environment, although the Windows Azure programming model isn t exactly the same as the on-premises Windows Server model. 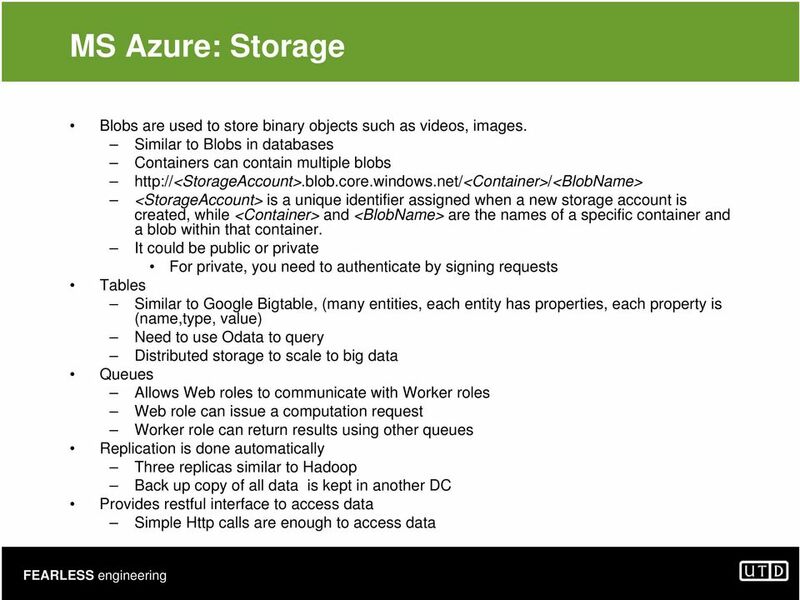 Storage: stores binary and structured data in the cloud. 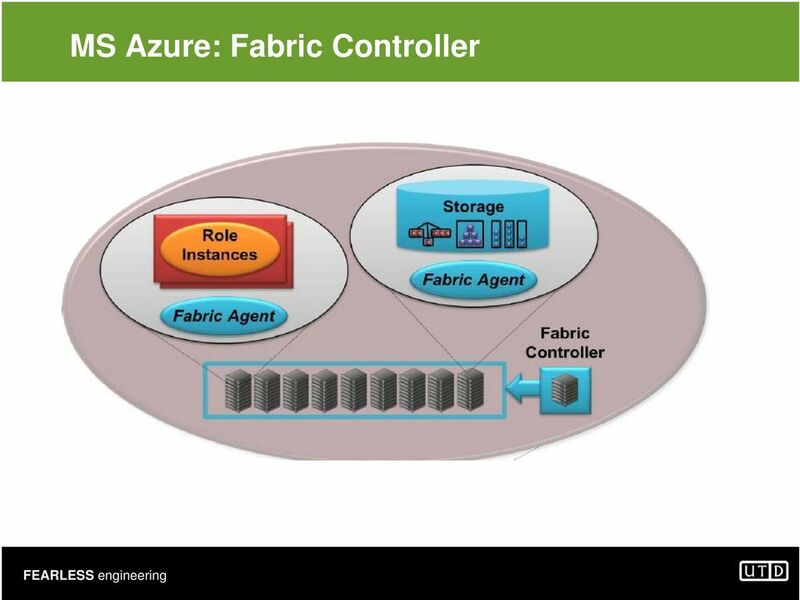 Fabric Controller: deploys, manages, and monitors applications. 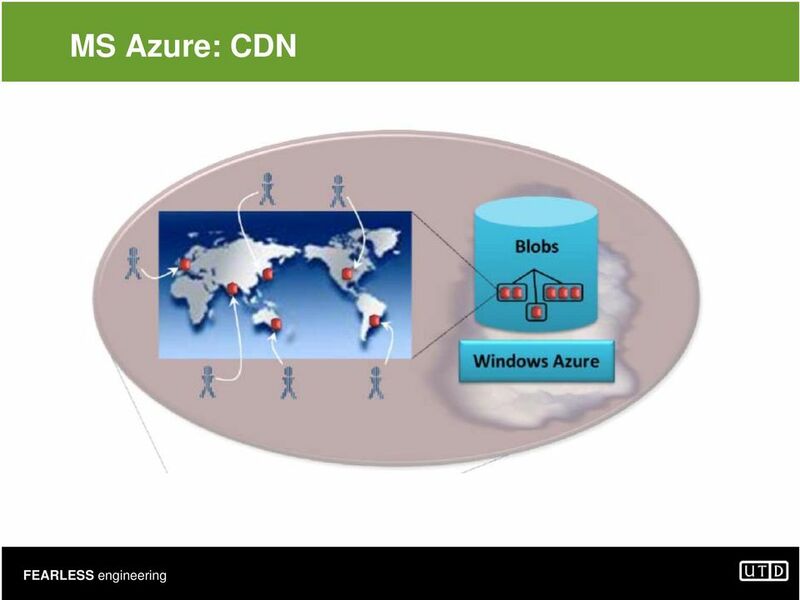 Content Delivery Network (CDN): speeds up global access to binary data in Windows Azure storage by maintaining cached copies of that data around the world. 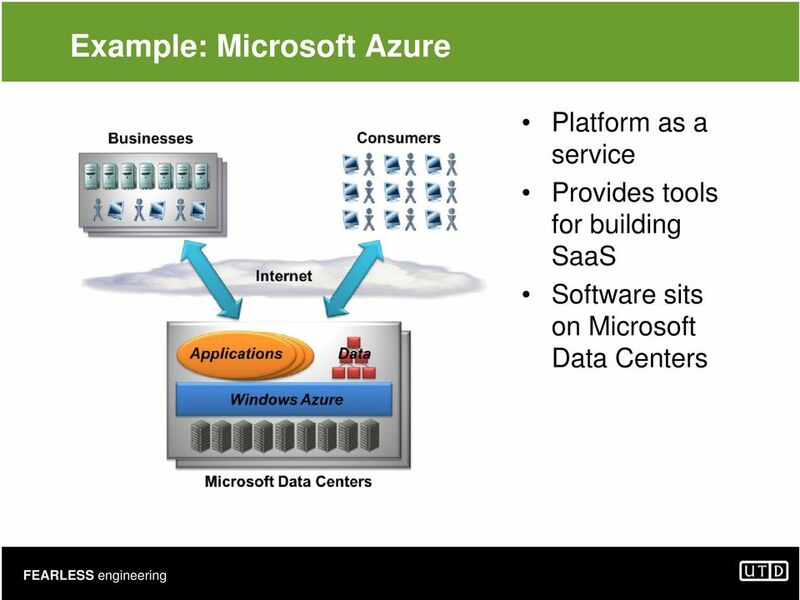 Connect: allows creating IP-level connections between on-premises computers and Windows Azure applications. 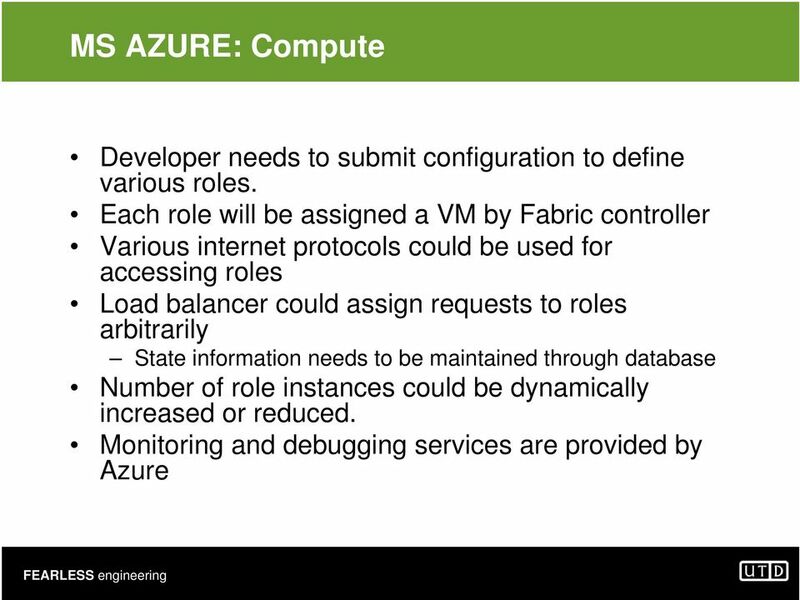 17 MS Azure: Fabric Controller Controls all resources including load balancers, computer, switches etc. 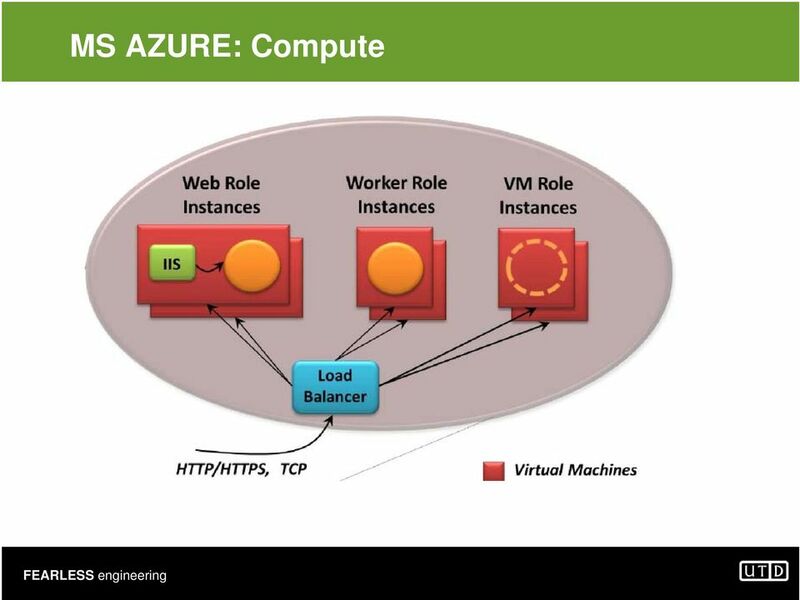 Each computer runs a fabric agent Handles load balancing and recovery based on the XML configuration provided by the developer Moves role instances to different VMs for load balancing Add new role instances if some of them dies Allocates role instances to different size machines (e.g., extra small to, extra large) Instances are grouped to prevent single point of failure Updates and patches for VMs running web and worker role instances are handled automatically Assumes at least two instances are running for each role Stops one for upgrades while the other instance is running Updates and patches for applications running on Azure, update domains are created. 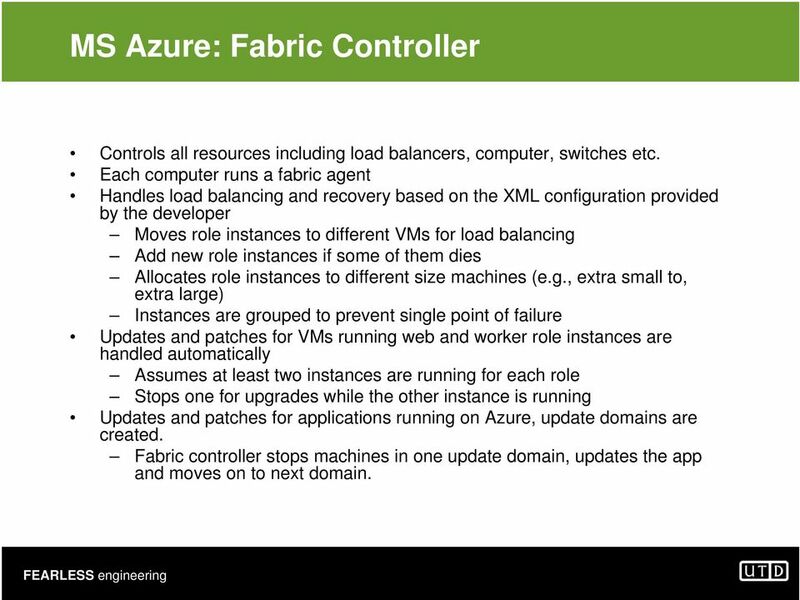 Fabric controller stops machines in one update domain, updates the app and moves on to next domain. 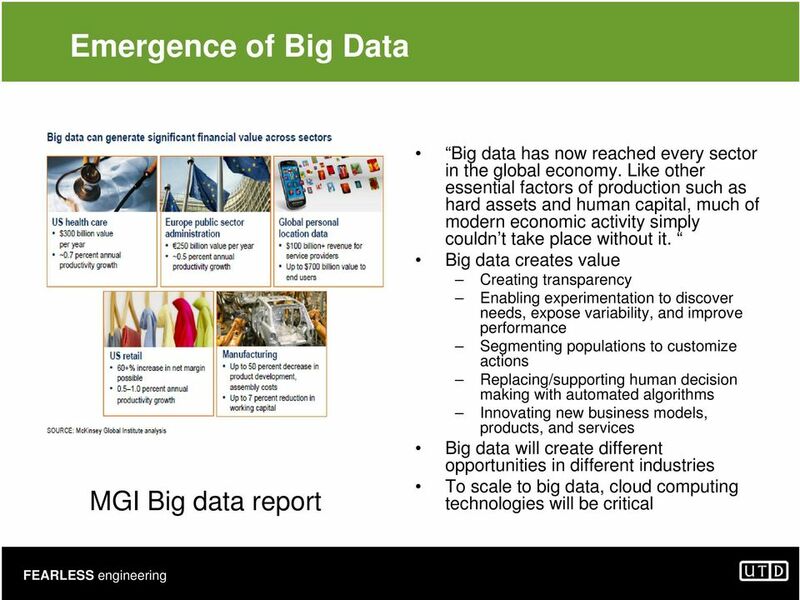 33 Overall Impact Due to economies of scale, large DC may have up to %80 reduction in Total cost of ownership. 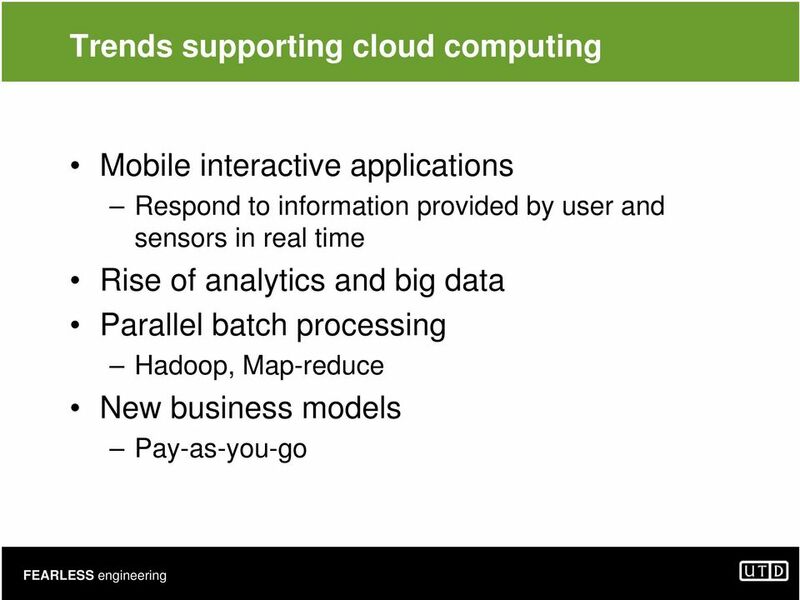 For some apps, moving to cloud can create significant cost savings. 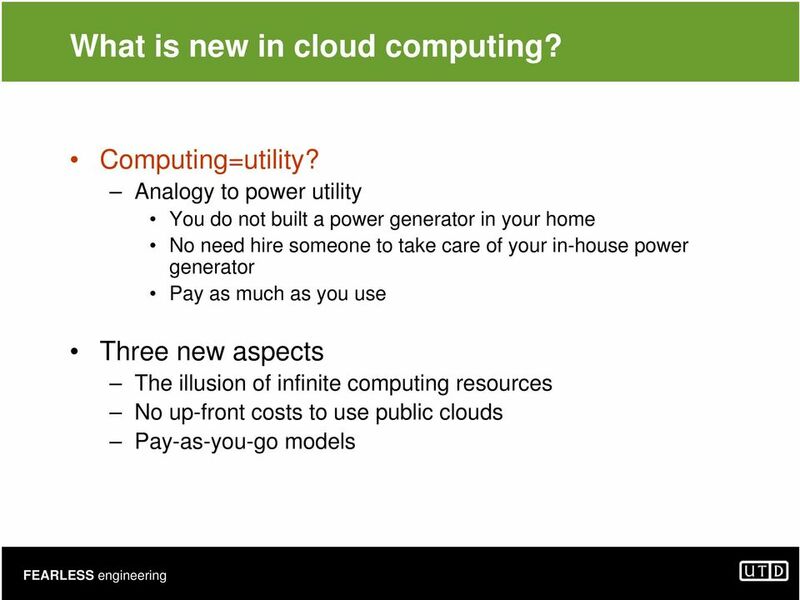 35 Possibilities Elasticity could be important for some apps Running an multiple instances at the same time New massively parallel applications Elimination of capital expenditure Critical for new start-ups No need to buy infrastructure to create your next idea. 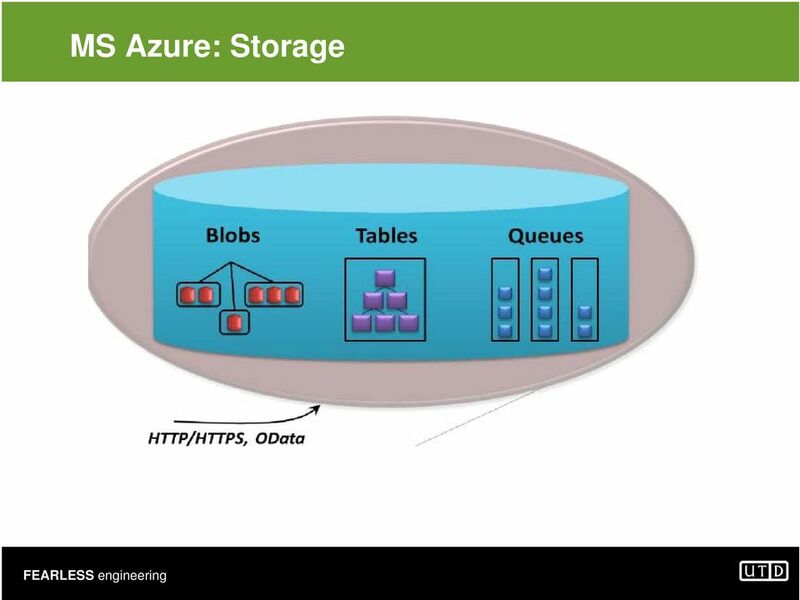 Reduction of Complexity You do not have to manage your infrastructure You do not need to manage your on web server etc. 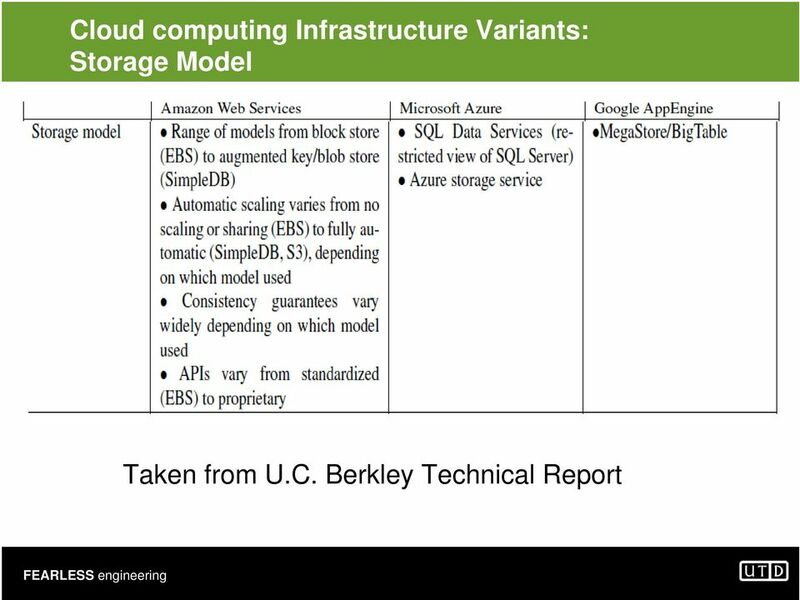 37 Obstacle: Availability of Service Too big to fail in Cloud computing Need to run your apps on multiple providers to prevent single point of failure Opportunity: Cloud elasticity can make DDS attacks more costly Suppose EC2 can handle 500 bots Attack generates 1GB/sec traffic using 500,000 bots costing 15000$ At AWS attack will cost 360$ per hour in bandwidth and $100 per hour in computation need 1000 EC2 instances) After 32 hours, cost of the defense is larger than attack Attacker needs to sustain attacks longer. 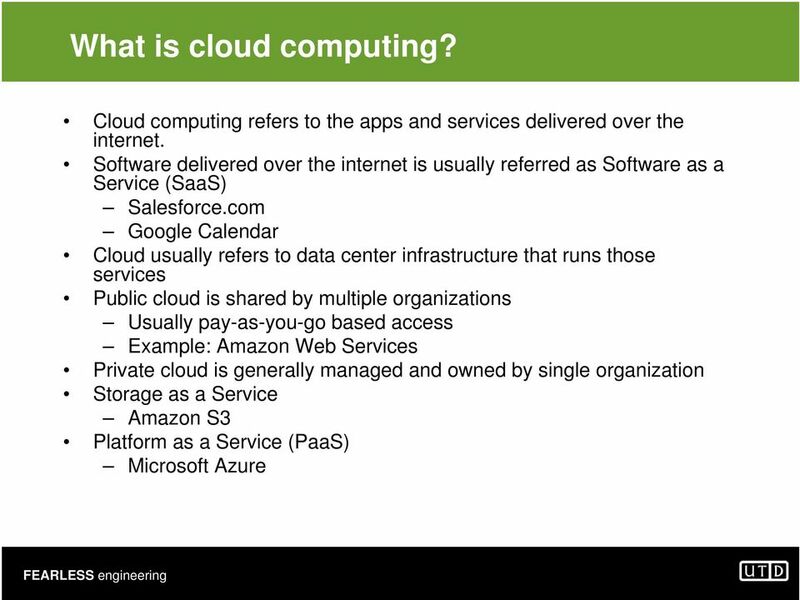 39 Obstacle: Security, Privacy and Compliance Possible security and privacy issues related to data that is pushed to public cloud This will be our main focus during the rest of the class. Will Amazon fight to protect your data against Government subpoenas? 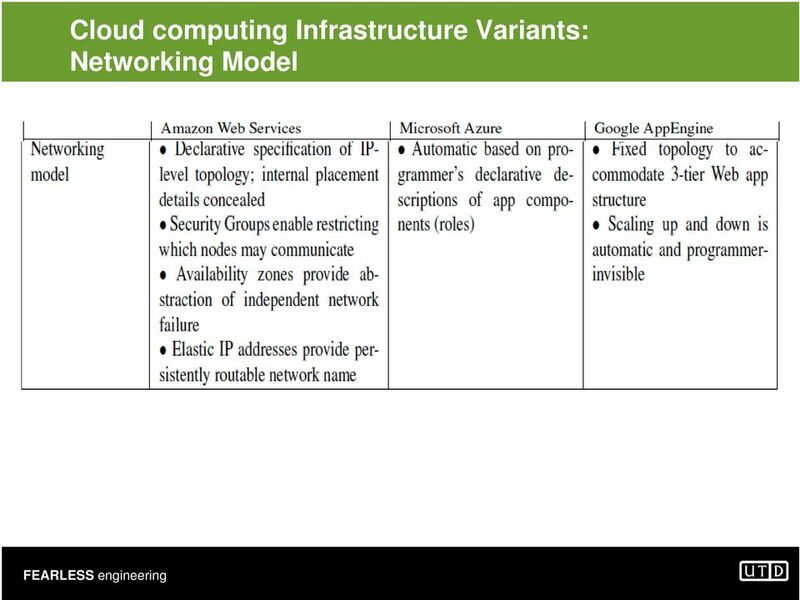 Compliance issues (e.g., HIPAA) Possible solutions Encryption ( we will spend four weeks on encryption related solutions New cloud auditing solutions VPNs in the cloud Application and VM firewalls Location aware data storage Keep your data in European jurisdiction that provides higher privacy guarantees. 45 Other architectures? 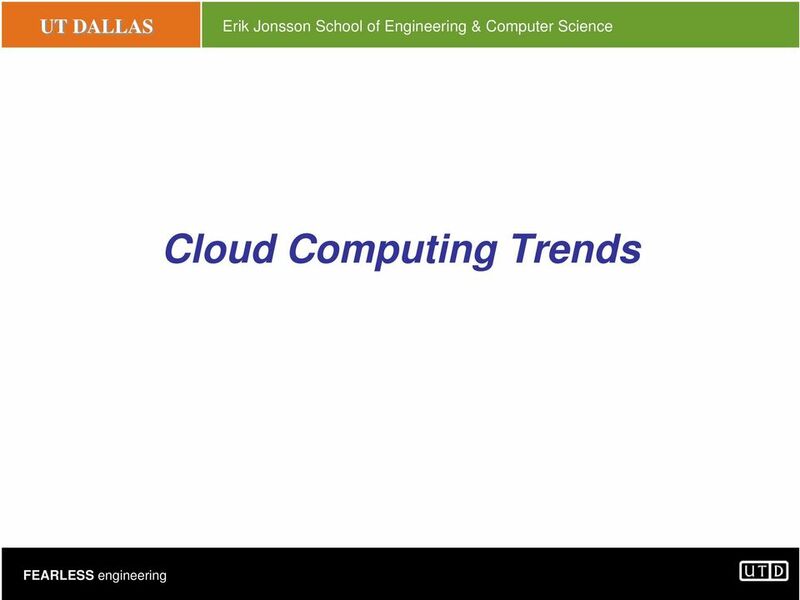 Here at UT Dallas, we advocate for hybrid cloud solutions Sensitive data will be mostly kept in private cloud Sensitive data in public cloud will be encrypted Intelligent query processing techniques will be used efficiently combine the resources of public and private clouds. 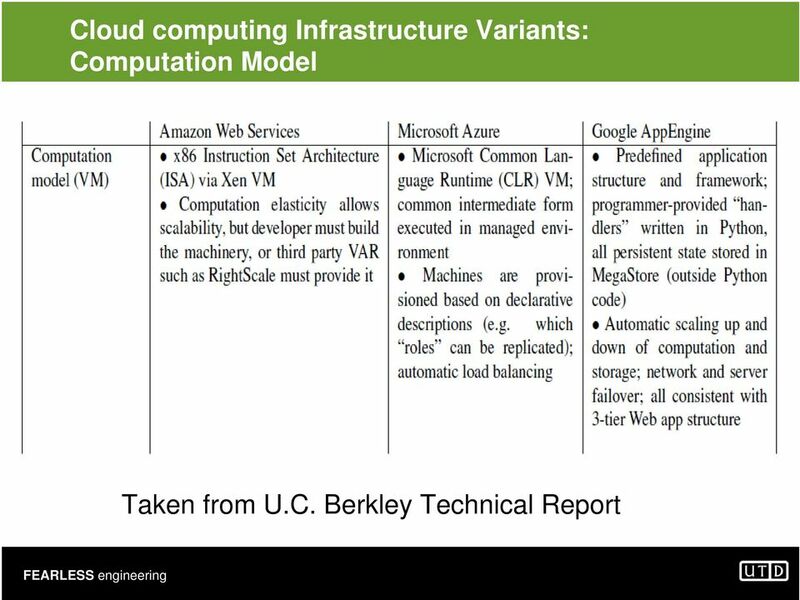 A Review on "Above the Clouds: A Berkeley View of Cloud Computing (Armbrust, Fox, Griffith at.el.)"